A Square Matrix is said to be symmetric if it is equal to it's transpose. Transpose of a matrix is achieved by exchanging indices of rows and columns. Transpose is only defined for a square matrix. 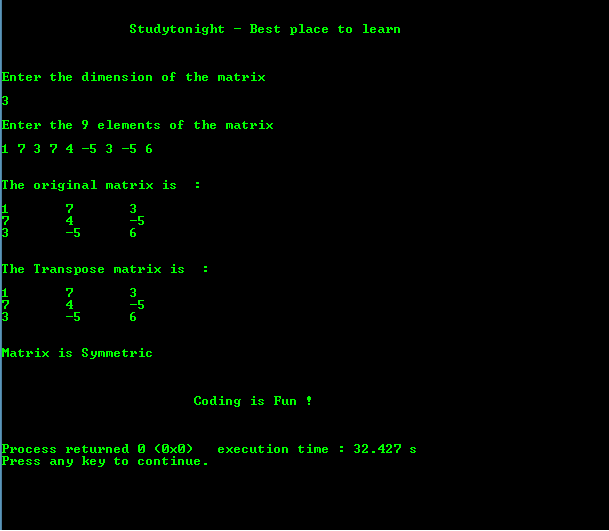 Below is a program to check whether sqaure matrix is symmetric or not.